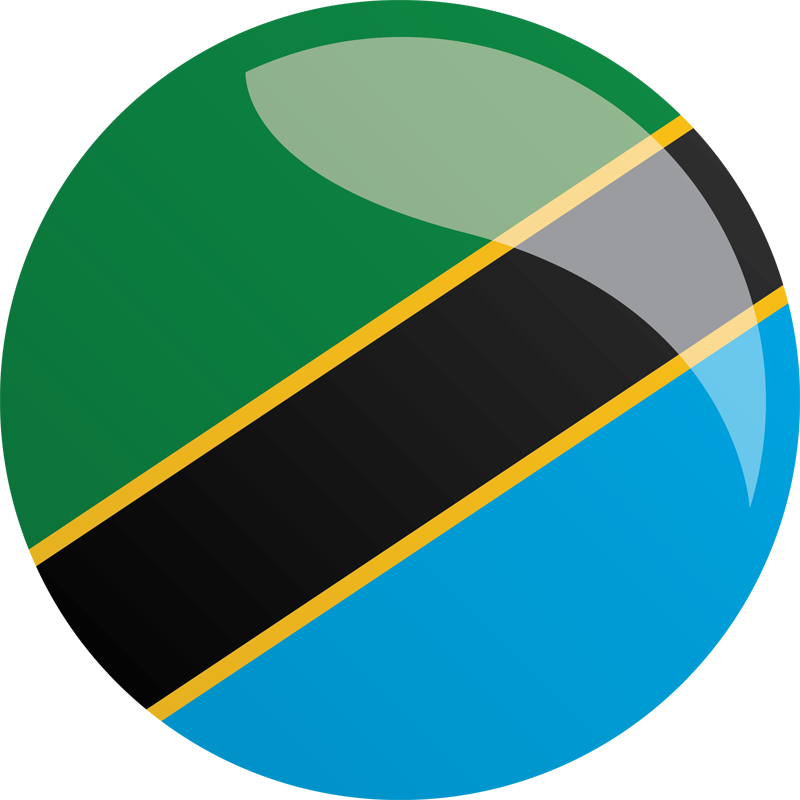 Watch a video about ESB International's work to connect electricity to Zanzibar as part of the Energy Sector Project in MCC's Tanzania Compact. More than 99 percent of the anticipated compact funds were expended by the end of the compact in September 2013 to improve market linkages and increase investment, economic output and household productivity throughout the country. Tanzania demonstrated its commitment to the compact partnership by contributing approximately $132 million to complete projects where costs exceeded the anticipated project budgets, especially in the transport sector. Further details of the compact results and impacts will be shared in forthcoming revised cost-benefit analyses and impact and performance evaluations, expected to become available through 2018. Estimated benefits at the time of investment correspond to $636 million of compact funds, where cost-benefit analysis was conducted. Estimated benefits corresponds to $198.2 million of project funds, where cost-benefit analysis was conducted. improving the institutional capacity of Tanzania Electric Company and the Zanzibar Electric Company. the installation of photovoltaic systems in health centers, schools and markets in the town of Kigoma and Kasulu district. MCC contracted Mathematica Policy Research to conductan impact evaluation of the Mainland Distribution System Rehabilitation and Extension Activity. The evaluation sought to assess the of impact of increased access to electricity on energy consumption and expenditures, household income and business activity, and health and education outcomes. Final results were released in 2017. Mathematica also conducted a performance evaluation of the Kigoma Solar Power Activity. The Kigoma Solar Evaluation looked at the changes in energy consumption and business operations. In addition, the evaluation attempted to measure effects on incomes of the businesses or households that received or purchased solar energy systems through the activity. . Final results were released in 2017. Finally, the performance evaluation for the Zanzibar Interconnector Activity, released in 2015, sought to assess the benefits of the undersea electricity cable on power quality and business operations experienced among hotels on Zanzibar. These monitoring indicators may be influenced by factors beyond the MCC projects. Therefore, any change over baseline data may not represent the impact of the MCC Investment alone. This indicator focuses solely on non-commercial installations at health centers (plus vaccine refrigeration systems), dispensaries, schools, village markets, and beach management units. increase the quantity of electricity sold and reduce the consumption of other energy sources, such as kerosene and diesel. Although the investment was not intended to directly affect technical and non-technical losses, MCC monitored this as a link between the outputs produced and the expected improvements in outcomes and objective indicators. Technical losses include power dissipation within the components of the electrical system, while non-technical losses are due to external factors such as theft or record-keeping errors. The indicator measuring progress on reducing the percentage of losses appears negative in part influenced by the utility not instituting a more cost-reflective tariff until the last year of the compact, which shortened the time allowed to measure effects of the increase prior to compact end, as well as other factors beyond the control of the MCC projects. The construction of the interconnector between Zanzibar and the mainland, however, did address one of the reasons for technical and non-technical losses on the island. Estimated benefits corresponds to $374.7 million of project funds, where cost-benefit analysis was conducted. In Tanzania, poor transport infrastructure constrains the development of agriculture, industry and commerce, and hinders access to essential social services. At the time of compact signature, less than seven percent of Tanzania’s road network was paved; the other routes were made of gravel or earth. The Transport Sector Project addressed necessary improvements to Tanzania’s road network, which serves a widely dispersed population, by investing in infrastructure to reduce transport costs, increase cash crop revenue and facilitate access to social services. Rehabilitation of road infrastructure was intended to expand connectivity across Tanzania and improve market and other linkages both domestically and with neighboring Kenya and Zambia. The project also upgraded the Mafia Island Airport to allow for easier, more efficient and safer access to the island. At compact end, MCC financed the completion of 150 kilometers of roads, which includes the installation of drainage measures and accompanying signage, as well as designs and feasibility studies for the original target of 433 kilometers. All 433 kilometers were completed by January 2015 using funding from the government to complete sections that were not finished at compact end. On Mafia Island, 1.6 kilometers of runway and taxiways were refurbished. MCC is conducting performance evaluations of the Zanzibar Rural Roads, the Mainland Trunk Roads and Road Maintenance Activities for both Zanzibar and mainland Tanzania. The evaluations will use the Highway Development and Management (HDM-4) Model and potentially the Roads Economic Decision (RED) Model to assess the condition of the upgraded roads and evaluate the sustainability of these investments in the context of the roads maintenance regime. Both evaluations are expected to be available in December 2018. MCC is also conducting a performance evaluation for the Mafia Island Airport Activity. This evaluation will seek to assess the condition and maintenance of the Mafia Airport runway post-compact to understand the residual life of the investment. It is expected to be available in December 2018. The overall level of funding the government dedicated towards mainland trunk roads did not increase, remaining stable during the life of the compact, while the percentage of funding decreased in the short term. During the compact period, the government oversaw a dramatic increase in road construction, coupled with a reclassification of national and rural roads, which reduced the percent of funding in proportion to the entire roads network. Estimated benefits corresponds to $63.1 million of project funds, where cost-benefit analysis was conducted. Tanzania continues to face a serious shortage of access to potable water because of an aged and dilapidated water supply infrastructure. The inadequate water supply and quality contributes to a high incidence of water-related diseases, decreased workforce productivity and constrained business growth. The Water Sector Project focused on improving water production and treatment infrastructure in the cities of Dar es Salaam and Morogoro in order to increase the supply of treated water in the system. Residents of Dar es Salaam are expected to benefit from a 90 million liter per day expansion to the Lower Ruvu Water Treatment Plant—the main source of treated water in the country’s capital. In order to convey this water to the city, the project funded designs for a 55-kilometer water main that was constructed with government funds. As a result of construction delays and fluctuations in seasonal water volumes, the Lower Ruvu Water Treatment Plant and Transmission Main works were not completed by the end of the compact. In March 2014 the government committed to funding and completing the water works post-compact. In March of 2016, the government completed and commissioned the Lower Ruvu transmission main. In Morogoro, the project funded the rehabilitation of both the Mambogo and Mafiga Water Treatment Plants to improve quality and quantity of water, improve major components of the distribution network to include a 1.9-kilometer main, and provide 10,000 customer meters and more reliable customer collection and management tools and training. Due to construction delays the water treatment plants were completed after the compact by the Tanzanians, impacting the percentage of operations and maintenance costs recovered and the volume of water produced by the two plants at compact end. Finally, MCC funded the development of a rate case to achieve cost recovery of operations. These rate case applications were prepared, submitted and received approval from the regulator. MCC is conducting an impact evaluation of the Lower Ruvu Plant Expansion and Morogoro Water Supply Activities of the Water Sector Project. This evaluation will measure the project’s impact on the availability, reliability and quality of water in the cities of Morogoro and Dar es Salaam. It will also study intermediary outcomes stemming from improved water access and quality, such as improvements in health, time use and household incomes. An interim evaluation report is expected in July 2017, while the final report is expected to be available in 2018. MCC continues to examine these indicators, which were likely influenced by factors beyond the MCC projects and therefore may not accurately represent the impact of the MCC investment alone. In the case of the Lower Ruvu Plan Expansion Activity, the indicator performance reflects the fact that the Lower Ruvu Transmission main, which was critical to transporting the increased supply of water to customers, was not completed by the government until March 2016, three years after the end of the compact. In December 2009, MCC and the government reallocated $39.6 million from the eight-megawatt Malagarasi Hydropower Activity following a final environmental analysis of the proposed worksite. The analysis uncovered a study that reported the discovery of several new and highly endemic aquatic species on the site, and concluded that the activity would create a significant environmental hazard even with mitigation measures. Approximately $4.8 million was reallocated to the Zanzibar Interconnector Activity, $34.4 million was moved to the Distribution Systems Rehabilitation and Transmission Activity, and $400,000 was used for additional environmental and social activities. The remaining funds in the activity were used for the rehabilitation of the Kigoma electricity distribution system and a pilot off-grid solarprogram in two districts of the Kigoma region. In June 2010, the $32 million Non-Revenue Water Activity was re-scoped after the final design estimates on two of the activity’s infrastructure investments indicated higher costs that would significantly impact their economic rates of return. As a result, $13.2 million was reallocated to the Lower Ruvu Plant Expansion Activity, $9.6 million to the Morogoro Water Supply Activity, and $400,000 for other environmental and social activities. The Transport Sector Project faced significant cost increases and schedule changes identified through further technical design and resettlement work that took place post-compact signing. Therefore, the government committed to providing approximately $132 million to complete all planned activities in the compact. Reallocations from other compact activities also supplemented the Transport Sector Project. As noted above, the government provided $132 million to complement MCC funds and ensure completion of all works. In the Mainland Trunk Roads Activity, MCA-Tanzania entered into an agreement with the international NGO, World Wide Fund for Nature, to boost the environmental protection capacity of local communities by supporting two wildlife management authorities. This activity was built on the prior success of a larger USAID grant program that supported other wildlife management authorities throughout the country. During compact development, MCC and the government coordinated with other donors to ensure that MCC’s investment complemented other funding and planning for the water and energy sectors. The compact was implemented with support from a variety of additional development partners, including Germany, France, Sweden, Japan, and the European Union, as well as multilateral institutions such as the World Bank, the International Monetary Fund and the African Development Bank. To facilitate and incentivize the desired investment outcomes under the compact, MCC and the government agreed that the following conditions precedent would be met before disbursing funds needed for the projects identified below. Prior to each disbursement for construction of the airport improvements under the Mafia Island Airport Activity, Tanzania National Roads Authority (TANROADS) shall commit to fund the upgrade of the main road from the airport in Kilindoni to the Marine Park lodges in Chole. Prior to initial disbursement for the Mainland Trunk Roads Activity, the National Road Safety Policy and Strategy (in form and substance as prepared by the Ministry of Infrastructure Development in May 2007) shall have been adopted by the Government. MCA-Tanzania shall execute all necessary construction and construction supervision contracts for the applicable trunk road on or before the first anniversary of the entry into force of the compact in order to receive any Disbursement for construction of such trunk road under the Mainland Trunk Roads Activity. Prior to initial disbursement for the Energy Sector Project, the Tanzania Electric Supply Company Limited (TANESCO) shall submit to the Energy and Water Utilities Regulatory Authority a rate case that recovers full operating costs. It should include at least the sum of cost of sales, operating expenses and debt service. In May 2012, the Zanzibari government authorized ZECO to increase electricity tariffs by 85%. Although this is not estimated to be a full cost reflective tariff, MCC recognized it as a move in the right direction. The first tranche of this increase (a 40% increase) was implemented in June 2012, although the remaining increase has yet to be implemented. Prior to each disbursement for the Zanzibar Rural Roads Activity covering the quarter beginning on October 1 of each year, the Government of Zanzibar’s expenditures budgeted for road maintenance shall show an increase from such expenditures from the prior fiscal year, taking into account inflation and maintenance needs of existing, improved and newly constructed roads. Prior to each disbursement for the Zanzibar Rural Roads Activity covering the quarter beginning on January 1 of each year, the amount budgeted by the Ministry of Communication and Transport of the Government of Zanzibar for maintenance of its existing, improved and newly constructed roads for the previous fiscal year has been expended for the intended purpose.